- A few months ago I had not problem playing GoPro Hero6 4k 60fps videos in my Windows 10. However, after Microsoft began rolling out the latest Creators Update, I can't playback the 4K 60 FPS videos in this desktop anymore. Specifically, the window is black. What caused this? - Lately I have been trying to watch some 4K videos on my new laptop, a Lenovo Z50-75, AMD FX7500 R7 Radeon @2.1GHZ Turbo to 3.3, but the laptop can't keep up. It plays absolutely no frames (Audio works fine). I downloaded the AMD system monitor, and noted while trying to play 4K the CPU was at 100% And GPU at 0%. Any suggestion? - I have Intel i9-7900X processor, so it is one of the most effective CPUs available now all over the world. I have also Nvidia GTX 980-TI graphics card. Now I cannot play smoothly any HEVC video on any player. How to fix this? You may be one of the millions who have experienced crashing, stutter, freezing, lagging and so on when playing 4K videos or games. In this article, we'll focus on how to fix 4K video playback errors on a PC. There are many possible causes. Please read below. Why Can't I Play My 4K Video Files? Possible Cause: 4K itself. 4K, or say 2160p Ultra HD, is the chief culprit. The file size of 4K resolution video is generally large, leading to weighting operation of both the software app and your computer. For example, when an old PC is decoding a 4K UHD video, the CPU usage may surge to 90%. Accordingly, the 4K playback will very likely fail with stutter, freezing, lagging, blacking out or even crashing. 1. 4K-ready display, including 4K monitor, 4K projector. 2. At least 256-bit memory interfaces. 3. Memory: 4GB RAM. Since higher resolution videos will take up more memory. 4. Frequency of GPU: above 1100 MHz. 5. Frequency of video memory: above 6000 MHz. 6. Sufficient Hard-disk space. (A 2-hour movie takes up about 100GB space). 7. Decoding ability of processor: higher than the mainstream level (≥15). 8. Decoding ability of GPU: [Suggested] at least NVIDIA GeForce GTX 650 Ti for Discrete Graphics and Intel HD Graphics 5000 for Integrated Graphics. 9. Decoding ability of software: GPU acceleration supported! ▶ Fast: Compress/reduce 4K file size without losing quality, 16X faster. ▶ Convert video formats or codes of any HD and UHD videos, e.g. H.264 to HEVC, MKV to MP4. ▶ Most stable for GoPro, DJI, DRV 4K videos, without crash or stutter. ▶ Download videos or music from YouTube, etc., edit videos, and make slideshows. Why Can't I Play 4K Video Files? Possible Cause: Your hardware or software does not support H.265 (HEVC) codec, 10-bit color depth and HDR (as high as BT.2020 gamut). 1. Update your hardware configuration, such as update to the recent GPUs like Maxwell (GM206), Pascal and Volta that support HEVC 10-bit (as well as VP9). 4K HEVC is slow without hardware-accelerated encoding and decoding. 2. Use DirectX Video Acceleration: a technology used for accelerating video decoding taking the advantage of discrete video card or integrated GPU core in CPU (Intel HD core i5, core i7 and etc). Windows 7 or higher Operation System version is required. 3. Use a HEVC-compatible media player, e.g. : PotPlayer, Media Player Classic and 5KPlayer (strongly recommended as it supports any video formats, and up to 8K UHD resolution). Step 1: Download the latest version of 4K video converter on your Windows or Mac, and complete installation and launching. Step 2. Upon the software, click +Video button on its top-left of the main interface to let your 4K HEVC video(s) added and loaded. Step 3. On the pop-up Output Profile window, choose H.264 (AVC) as the output. Click under: PC General Video -> AVC Video (H.264). Step 4. Edit the 4K video if necessary, including trimming, cropping, merging, adding subtitles and so on. Make other settings if necessary. Step 5. Tap RUN button and set sail. But to tell the truth, converting HEVC to H.264 or other codec is NOT strongly suggested, since HEVC is the future! It offers roughly double of the compression ratio (of H.264) for the same quality and is less like to cause stutters because of the insufficient capacity. What to do then if the fixes above do not fit your 4K playback issues and you still want to have a try? 4K 2160p video can only be compressed to smaller resolution like 1080p FHD. Compressing 4K video will definitely have heavy loss in image quality. Resizing or convert 4K large videos will be extremely slow. 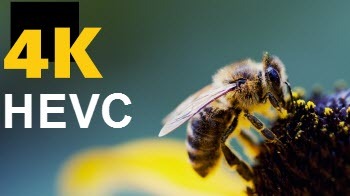 4K video can also compressed to another 4K video, like H.264 to HEVC to have much greater compression ratio to avoid slowing or crashing and save more space. Reducing the 4K file size can have only pixel-level image difference compared with the original one, and cannot be noticed by human eyes. With hardware-accelerated 4K video encoding, decoding and processing, compressing or converting 4K videos will be fast. How to Use Hardware Acceleration for 4K Video Compression or HEVC Encoding? If you still cannot play 4K videos after trying all the methods above, please check whether your settings are right and if your rig is overclocked. Or, you can still solve the 4K UHD video playback errors with GPU acceleration, video compression and HEVC encoding. Step 1. Make sure your GPU is good enough to support hardware acceleration. Step 2. Make sure your GPU is up to date. If not, please update it. Step 3. If you have recent graphics card drivers, video cards and the latest version of video applications, please make sure they don't have compatibility issues. Step 4. Enable Hardware Acceleration on Windows 10/Windows 8/Windows 7 PC or on Macbook (Pro), iMac, Mac Air. Step 5. Check whether your browser is using Hardware Acceleration. If not, enable Hardware Acceleration: For Google Chrome, Options icon -> Settings -> Advanced -> turn on "Use hardware acceleration when available". For Firefox, Tools -> Options -> General -> "Use hardware acceleration when available". Step 6. Download WinX HD Video Converter Deluxe that supports Level 3 Hardware Accelerated 4K video compression and HEVC encoding. Step 7. Install and launch the software. 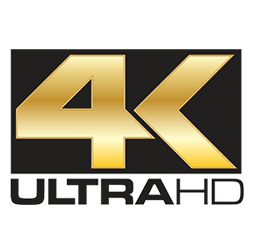 Click +Video to add your source 4K video(s). Step 8. Choose HEVC Video (MP4 file format with hevc/h.265 + aac, resolution: 4096x2160) or other video format for 4K video file size compression. Step 9. Tick Intel or NVIDIA Hardware Encoder option to make use of your GPU to quicken the process. Step 10. You can trim, crop the video, reduce frame rate (e.g. 60fps to 30fps) to have a smaller file size. Step 11. Make other settings if necessary. If not, just start to RUN. 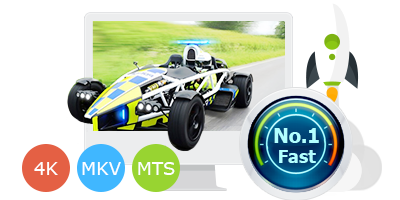 -	Reformat an H.264 video file to another directly at maximum transcoding speed without loss in quality, e.g. MKV to MP4 takes 1 min only, at more than 1000 FPS. -	Upscale 1080p, 2K to 4K for viewing on a 4K TV naturally. -	Supports hardware-assisted HEVC encoding. After all, it is an all-in-one video software capable of video format conversion (e.g. MOV to MP4, AVI to iPhone), resolution shifting (e.g. 4K to 1080p), video editing/processing, video downloading and more.